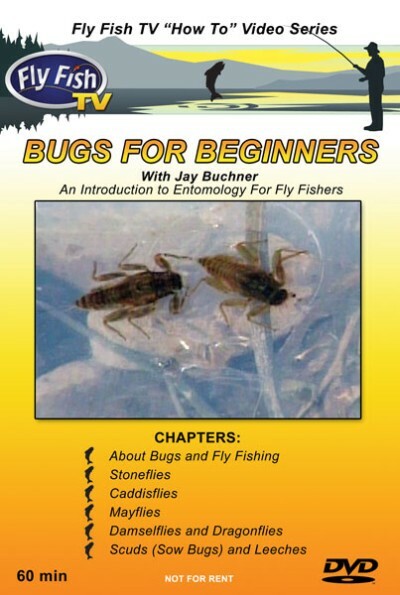 Discover the basic entomology of five of the most prominent bugs trout feed on and their importance to the angler. Types of flies examined in the video are stoneflies, caddisflies, and mayflies. Jay Buchner also looks at damselfliesand dragonflies, two of the lager insects trout can't resist. The scud or sow bug and the leech get some coverage as well since they are essential foods forms for trout. In addition, Jay will show us some of the fly patterns designed to intimate these insects. 60 minutes in length. Another great Fly Fish TV video on DVD!